Former Miss Tanzania, Wema Sepetu, might not have had things go her way over time. This is especially during and after their unkempt breakup with Diamond Platinumz. 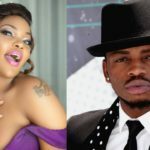 Allegations are that she had committed abortion, of her child with the Tanzanian bongo flava star. According to many, the actress´ good tidings might have been swept off . Therefore, life would take the wrong turn for her. This is after she was banned from the Tanzanian film industry. Additionally, her love game has proven fatal over time, jumping from one after the other, all that never blossomed. Unfortunately, Diamond´s lover lay low and winds have changed direction, booming in her favor. Sepetu´s Bonanza Early in the year, Hamdan Zakwani ‘Danzak’, a dreamliner pilot, confessed his love for her. The pilot even went further to propose to her and gain her family´s approval through these words: Nilitamani sana safari hii niliyokuja nionane naye, tukubaliane mwanzo wa maisha yetu. Lakini nimekosa nafasi kutokana na mambo yalivyonibana. Hata hivyo kuna watu nimewaagiza wafike nyumbani kwa akina Wema wakaeleze nia yangu. Lakini wakiweza wamwambie Wema mwenyewe lengo langu kwake na thamani yake katika maisha yangu. According to Global Publishers, Sepetu and her pilot husband were recently spotted together in public. During the weekend, the couple attended a match between Taifa Stars and Uganda cranes. The duo seemed to relish every moment together and might probably be sending out invitation cards to the chosen few. You know what I mean. Just hinting, nothing proven yet. The couple later on headed to Serena Hotel then later proceeded to Maison Sea Cliff. The post Spotted: Diamond´s ex landing a Pilot husband? appeared first on Ghafla! Kenya.